Brightening up your home in style, the B2 Dark Grey Concrete Pendant Light offers contemporary lighting style for your space, blending in easily with a wide range of different rooms in your home. 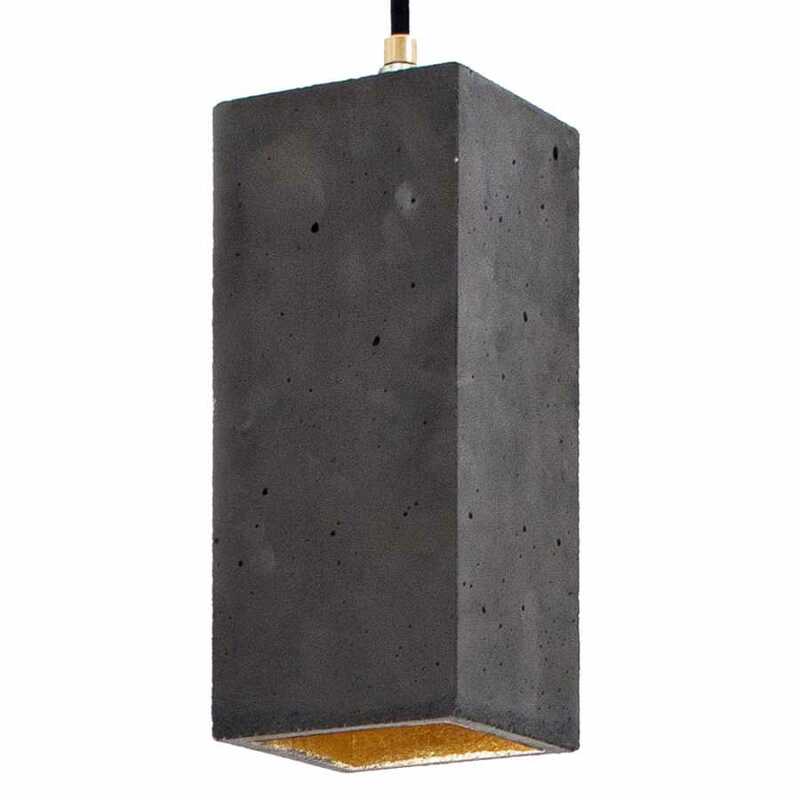 It can be chosen from a range of colours and combines an industrial look and feel with the gilded interior adding elegance and class. Each lamp can be enjoyed in either dark or light grey pigmented concrete for the exterior and a choice of gold, copper or silver gilding for the interior. 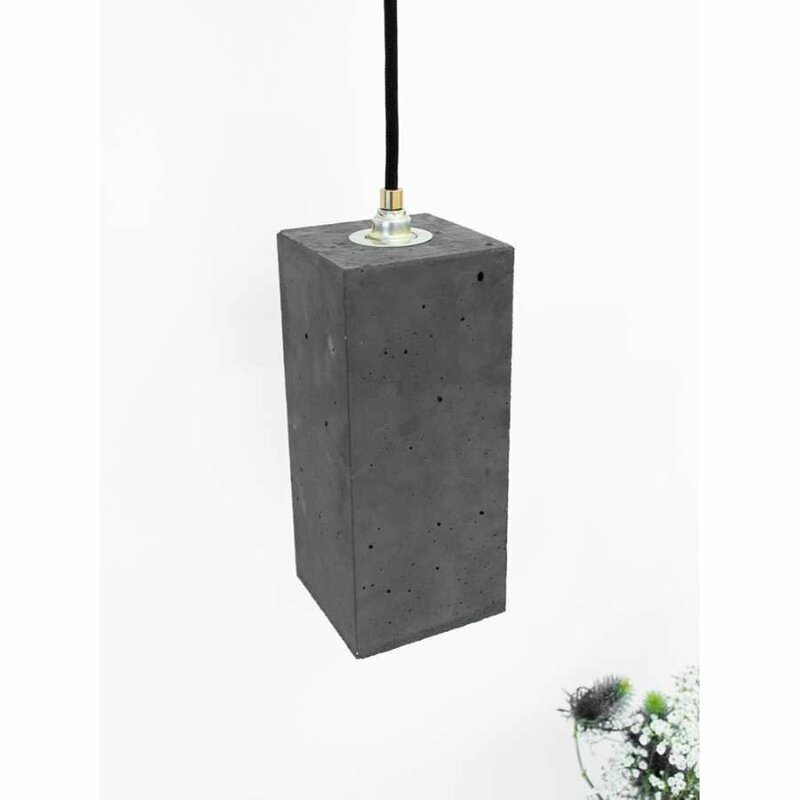 Each lamp is supplied with a cord in either black, white or graphite and the choice of lengths if 3m, 5m or 1.8m. Each B2 Dark Grey Pendant Light measures 23cm in height, 10cm in width and 10cm in depth. With a slim and elongated profile, the B2 Dark Grey Concrete Pendant Light by GANTlights is a stylish and impactful piece to add to any space in your home. The modern style and unique combination of materials delivers a lighting option which attracts attention, creates a focal point and also has a real function in your home, providing that all necessary light. 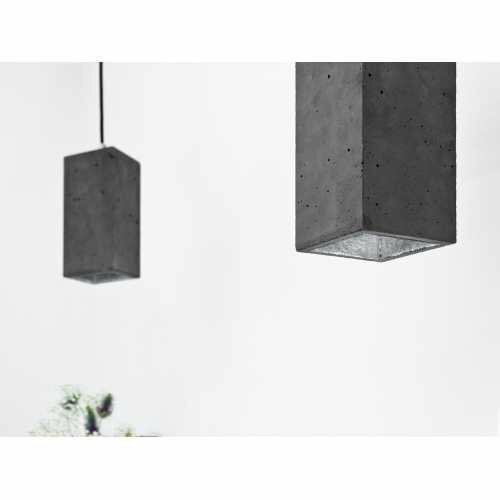 If you would like to find out more about the designers behind this piece and to explore their wider collection please visit our GANTlights brand page.